Politically powerful state hospital associations and their members spent most of last year battling congressional Republican's efforts to sharply cut Medicaid spending and roll back its expansion to low-income adults. In fact, they're widely credited with playing a key role in blocking those changes. Now they're nervously facing narrower but still significant GOP Medicaid moves that are projected to push tens of thousands of low-income people out of the program by imposing work requirements, premium payments, rigorous income reporting rules, and benefit lock-outs for failure to comply. 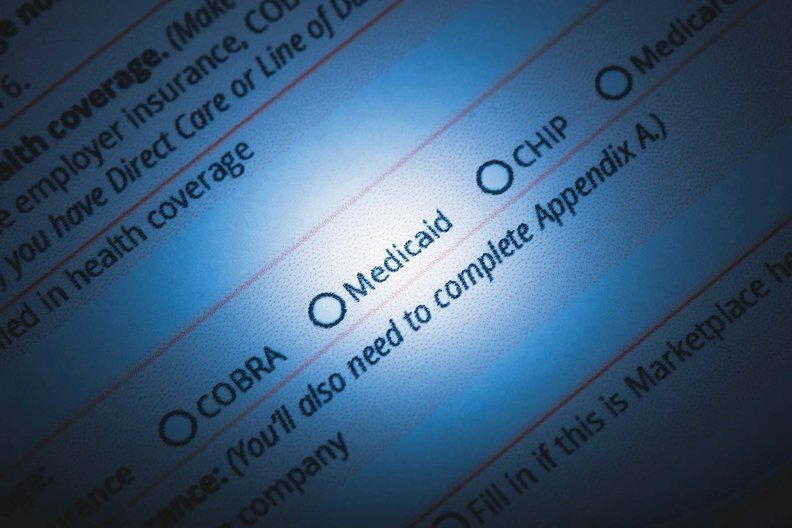 Republican leaders in Kentucky, Indiana, and Arkansas recently won approval from the Trump administration to establish these new waiver conditions for Medicaid eligibility. Eight other GOP-led states have submitted similar Medicaid work requirement proposals, and nine others have indicated interest in doing so. But state hospital association leaders have been quiet in their responses so far, with some even offering tepid support. That contrasts with their intense lobbying last year to maintain and expand Medicaid coverage. Some observers say their political calculations may change when they see how the waiver changes actually play out. "There are a number of positive things with this waiver, particularly around behavioral health," said Nancy Galvagni, senior vice president of the Kentucky Hospital Association, said in January after the CMS approved her state's waiver. State officials project it will reduce Medicaid rolls by 95,000 and cut spending by $2.4 billion over five years. The hospital groups' approach is surprising, given that these new state Medicaid waivers are expected to increase the number of uninsured and the resulting financial burden of uncompensated care on hospitals—even as GOP state leaders downplay this. "This is not about punishing anyone," Arkansas's Republican Gov. Asa Hutchinson said of his state's new Medicaid work requirement, scheduled to start in June. "It's about giving people an opportunity to work." He added that he has "no reason to believe there will be a significant increase in uncompensated care." That's contrary to his state's own projection that 63,000 people will leave Medicaid due to the changes. Some experts predict significantly more people than estimated will lose coverage in Arkansas and other states because they won't meet the requirement to spend 80 hours a month in a job, employment training, education, or volunteer work—or else they'll have difficulty complying with the stringent reporting rules. "They say this will only affect maybe 10% of Medicaid beneficiaries who are non-disabled adults that aren't working," said Cindy Mann, a partner at Manatt Health who served as the CMS Medicaid director during the Obama administration. "But this will spill over to other people everyone thinks will be exempt, and the coverage impact will be bigger." She predicts that as hospital associations get more information, they'll work with the states to soften the coverage impact. Yet up to now, most hospital association leaders have limited themselves to raising practical issues about how their state will implement the work requirements and other new rules, rather than objecting to such fundamental changes to Medicaid. The American Hospital Association also has taken no position on Medicaid work requirements. "We have concerns about people having to go online and submit reports every other month on the work requirement," said Bo Ryall, CEO of the Arkansas Hospital Association. He's worried about an estimated 38,000 low-income adults who could lose coverage if they don't meet the requirement or prove they are exempt. The hospital groups are particularly concerned about how their state defines and implements exemptions for groups such as the disabled, the medically frail, those with substance abuse or mental health disorders, and those caring for children or disabled relatives. "We're waiting to see how it's implemented and how many people this really will affect," said Greg Vigdor, CEO of the Arizona Hospital and Healthcare Association, whose state is awaiting CMS approval for its Medicaid waiver proposal including work requirements. Nearly 400,000 Arizonans could be subject to those requirements. "The exemptions are key." So why is this year so different from last year? One reason is that hospital leaders fear that if Republican state elected officials don't get their way on making these conservative changes in Medicaid, they'll completely repeal their state's expansion of coverage under the ACA, which has extended benefits to nearly 11 million low-income adults around the country and boosted hospital finances by reducing uncompensated care. Indeed, Kentucky Gov. Matt Bevin warned that if his state's waiver program is challenged in courts—which it now has been—he'll take executive action to erase the expansion that covers more than 400,000 Kentuckians. This week, Arkansas lawmakers are debating whether to renew annual funding for that state's expansion program, which requires a 75% vote of support in both legislative chambers. "It will be a close vote as it always is," Ryall said. "The (work requirement) is a necessary component to keep the total program moving forward." Hospital leaders also may be reticent because they know they have to pick their fights. If they oppose the waivers, they may fear being targeted by elected officials on Medicaid payment rates, tax-exempt status, and other regulatory measures. Similarly, Medicaid managed care plans, which are leery about the burden of administering work requirement proposals, may be saying little because they worry about their rate negotiations with the state, which are now in progress in Arizona. "They are political actors," said a Medicaid policy consultant who didn't want to be quoted on this issue. "They'll think about it in the context of other things they have on the table with states." Another factor is that establishing work requirements for Medicaid is unprecedented, so hospital leaders have no real-world evidence of what the impact will be. But some experts say it's likely that work requirements will cause serious coverage losses for vulnerable Medicaid-eligible populations, such as people with substance abuse and mental health conditions coming out of jails and prisons. If these people can't find a job or a volunteer position—which is particularly difficult for people with criminal records— they may not be able to get and keep Medicaid benefits, meaning less access to treatment, warned Anthony Zipple, CEO of Centerstone Kentucky, a behavioral healthcare center in Louisville. "Anything that decreases access to mental health and substance abuse services increases the odds that these people end up tangled in the law and incarcerated again," he said. State hospital association leaders are taking a firm stand, however, on Republican proposals to directly reduce Medicaid eligibility. The Arkansas Hospital Association opposes the state's waiver proposal to lower the income eligibility threshold from 138% of the federal poverty level to 100%, on which the CMS has deferred a decision. A number of other GOP-led states are considering similar proposals. "That would have been very impactful on our uncompensated care and would have increased costs for marketplace plans," Ryall said. The Arizona Hospital and Healthcare Association objects to its state's waiver proposal to establish a five-year lifetime time limit on receiving Medicaid benefits for non-disabled adults. "Lifetime caps is an arbitrary limit," Vigdor said. "The deeper philosophy is that at some point you no longer deserve coverage. But people have long-term healthcare needs." Mann fears the new state requirements for Medicaid eligibility will hurt continuity of coverage and interfere with growing efforts by providers and health plans to improve care coordination for these high-cost, high-complexity patients. "If the person didn't report working 20 hours a week and gets kicked off Medicaid for three months, what happens to the integrated system hospitals and plans are trying to construct," Mann said. "That will really undermine our best hope for improving care and lowering costs." Vigdor said his association and its member hospitals would probably prefer no Medicaid work requirements. But they're trying to stay clear of pure politics and deal solely with policies to make healthcare work better. "This is a shift in gears from last year," he acknowledged. "Then it was a grand stage with abstract proposals that would have done great damage to our state. This year it's a more focused battle."